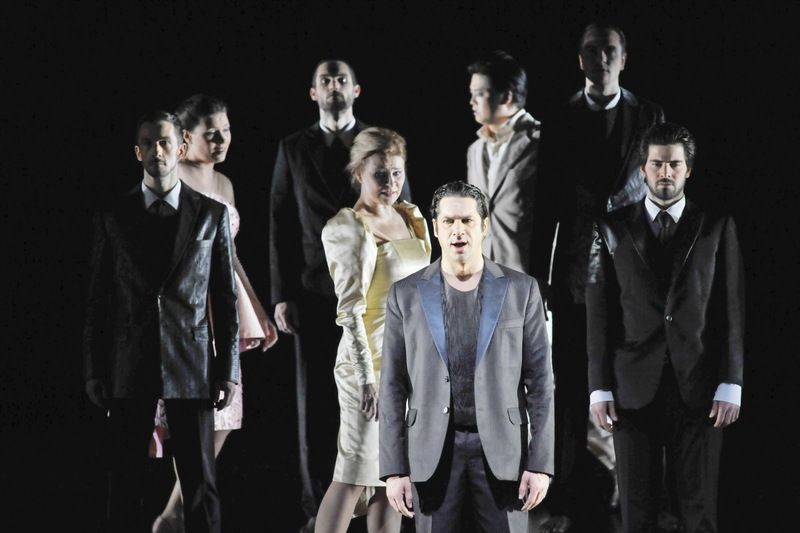 This new production was trumpeted as a Don Giovanni for Berlin. Some points in the proclamation were more persuasive than others. In 1954, Brecht inaugurated the new home for his Berliner Ensemble at the Schiffbauerdamm with Molière’s Don Juan, whilst Heiner Müller would follow in those footsteps in 1968. Meanwhile, in West Berlin, a month after the construction of the Berlin Wall, the newly constructed home for the Deutsche Oper would open with Don Giovanni. 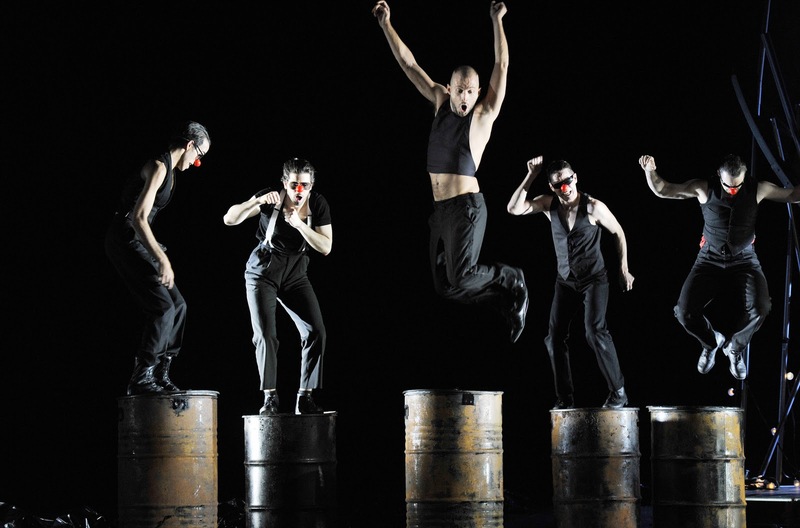 Fifty years later, and twenty-one years after the Wall’s demise, comes a new production. I am not sure this adds up to a great deal, for one could doubtless point to precedents and numbers of years since something else for just about anything. But Roland Schwab’s production tries to locate itself more explicitly in Berlin: Berlin as a clubbing mecca. Localism seems to be the new, or at least a new, universalism at the moment, as evidenced by Claus Guth’s recent Zurich Tristan and Ariadne auf Naxos. That is, unless a work was actually intended to be set somewhere in particular; it would never do, say, to set Don Giovanni in seventeenth-century Seville, or The Rake’s Progress in Hogarth’s London. That would not be of much import if the Konzept worked in practice. I think it could; Giovanni is someone who takes himself not only to the edge but jumps off the precipice. Much of what happened here, however, seemed more confused than anything else. The beginning I found straightforwardly incomprehensible. We have a sort of gang leader – fair enough, though that inevitably glosses over carefully-crafted distinctions of class or order in libretto and score – and his followers (the Deutsche Oper’s Movement Choir, all impeccably well drilled), wandering around and occasionally playing golf. I wondered whether the golf were intended to be symbolic, since it seems an unusual preparation for all-weekend partying, but I could not conceive of what it might be symbolic. When women come along, Giovanni hands them score cards: seven for Donna Anna, six for Donna Elvira, five for Zerlina. Are aces high or low? Who knows? The action eventually shifts to the realm of the night, our substitute for Giovanni’s chocolate and prosciutto. Sado-masochistic scenes are enacted, yet not once do they generate the slightest eroticism. Perhaps the intention is simply: épater les bourgeois, bring a taste of the Kreuzberg scene (somewhat dated, I think) to the denizens of Wilmersdorf. In Charlottenburg, it would hardly be difficult to shock, yet so far as I could discern, the outcome was more a matter of mild, prurient interest. At any rate, there was much hearty laughter at Leporello’s slapstick falling over, which seemed to console a good few of the audience. Quite what the brief appearance of a Jesus-look-alike on an exercise bicycle was supposed to connote, I have no idea, likewise the equally brief snapshot for a blasphemous re-enactment of the Last Supper. At the end, I was bewildered once again: Giovanni’s punishment seemed to be a matter of just deserts for too many drugs and staying up late. I do not think that was the intention, but I really could not tell you what was. Meanwhile, Leporello aside, who on earth were the other characters? Were they bourgeois visitors, curious concerning the Underground scene: the audience, if you like? Perhaps, but whatever it was they were doing most of the time, it seemed to have little connection with the main thrust of the production. One might have thought that would have given a director pause for thought, as to whether the work was being treated appropriately or coherently. That did not seem to concern Schwab, however, for he merely excised bits that he did not like. (I assume that it was his doing rather than the conductor’s.) Elvira had both her arias, but Don Ottavio only had his first. Recitatives were messed around with, either cut or simply placed on hold, whilst further stage action continued. Worst of all, Schwab followed in the footsteps of Claus Guth’s Salzburg production and cut the entire final scene. One would generally have felt short-changed: the music and our ears call for resolution. It had become too late really to care, however, in this instance. Let us not bring in here the red herring of Mahler et al. ; their reasons, whatever one thinks of them, for ending where they did were quite different from those of modern-day directors. What really did for this performance, though, was Roberto Abbado’s conducting, above all during a first act that felt interminable: St François d’Assise without the jokes. It was not so much that he was slow, though often he was, as that there was no life, no direction. Klemperer might have been stately at times, but he brought an implacable integrity that made time fly. The dullness was simply aggravated by the music at times grinding to a halt. Think what an extraordinary score this is, one of the very greatest in all musical drama; here, one would have wondered what all the fuss was about, and might well have drifted off. The end of the first act and the second act were a bit better, but were at best inoffensive. I almost – and I stress ‘almost’ – found myself longing for the odd Harnoncourtism to liven things up. The orchestra did what it could – occasional woodwind moments made one sit up – but it was severely hamstrung. Though the score was cut, the performance lasted about three-and-a-half hours, with a single half-hour interval. Ildebrando d’Arcangelo had his moments in the title role. The lustre of his tone was not dimmed, but the production hardly played to his strengths. Ruxandra Donose made a game assault upon Elvira, but her voice seemed strained at times; it did not fit her range well, despite transposition (what of Mozart’s carefully planned tonal relations?) Marina Rebeka generally sang well as Anna, though her tone hardened somewhat during her second-act aria, to the detriment of intonation. 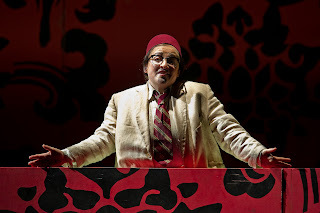 Yosep Kang’s vocal style seemed more appropriate to Puccini, albeit underpowered Puccini, than to Mozart. The others were fine, without making any particular impression, but again, the production made it extremely difficult for them to do so. The sole exception was Alex Esposito’s excellent Leporello. He may have been asked to do wrongheaded things but no challenge defeated him, whether of voice or of staging. He even managed, during the Stone Guest scene, to keep his line whilst doing a convincing impression of being utterly off his face on drugs. I should love to see – and to hear – him in another production. This was worth it for the Mahler; the rest never settled. Kindertotenlieder received a fine performance from Sarah Connolly, the London Philharmonic, and, for the most part, Vladimir Jurowski. ‘Nun will die Sonn’ so hell aufgeh’n’ was over-conducted; one could hear as well as see every beat. Orchestral balances were often odd, not least with respect to an oddly prominent horn solo, however well played. Connolly, however, produced a tone neither beautiful nor hysterical, suggesting a mother drained by experience; her reading truly hit the spot. Throughout, diction was perfect, though intonation wavered a little at the end of ‘Wenn dein Mütterlein’. Jurowski soon calmed down. (Would that he had during the Mendelssohn and Brahms works.) Especially noteworthy in the second song was his bringing out the melodic and harmonic echoes of Tristan und Isolde. ‘Oft denk’ich, sie sind nur ausgegangen’ was heart-rending, Connolly conveying a true sense of someone trying to persuade herself of something she knew could not be true. The final song, ‘In diesem Wetter,’ was again somewhat micromanaged, but that was perhaps less inappropriate here, for Jurowksi clearly relished Mahler’s modernist sonorities, sounding not so far from Lachenmann, let alone Schoenberg. Connolly was harrowing without hectoring. The final stanza’s frozen animation emerged properly as a negative Mahlerian vista: Adorno would surely have approved. And the orchestral coda somehow managed, eyes open, to say ‘yes’, to refuse to bow to self-pity. Mahler is not lachrymose, even if Leonard Bernstein was. Mendelssohn’s ‘Reformation’ Symphony seemed constricted by so-called ‘period’ tendencies on Jurowski’s part. The first movement’s introduction was marked by a striking lack of string vibrato, making the LPO sound more akin to what passes today for a Handel ensemble. Wind instruments were unusually and downright oddly prominent. The first sounding of the ‘Dresden Amen’ sounded a greater affinity the symphonic mainstream, though, Jurowski seeming a little unsure still which way to turn; however, its subsequent manifestations once again minimised vibrato. The exposition and the rest of the movement brought short-breathed phrasing: all too four-square. Mendelssohn’s music was also taken very fast indeed – and not only fast but relentlessly hard-driven. It was all, as is the fashion, resolutely un-Wagnerian. Yet, as is the fashion again, it seemed only to be un- or non-something; what was to be heard in positive terms? (I was put in mind of Schoenberg on Stravinsky’s Œdipus Rex.) One could only long for Abbado, let alone Karajan. The second movement was perky but again four-square. ‘Let the music breathe!’ I wanted to shout. There was some beautiful woodwind playing from the LPO, evocative of Classical Harmoniemusik; the strings’ pizzicato likewise impressed. Yet, even though the general tone was less astringent than much of the opening movement, everything sounded very scaled-down – which brings me to the odd forces employed: ten first violins, moving down to five cellos, but six double basses! The third movement responded best to Jurowski’s treatment, sounding urgent and never overblown, yet with time to relax on occasion. There was an apt sense of orchestral recitative, not only in the falling quasi-vocal interval at the end of so many phrases, but also in the sense of an ongoing narration. The finale started promisingly, sonority as well as melodic material harking back to Bach, but then Jurowski’s extremely fast, unbending tempo rendered much of the music merely trivial, however clear – almost a miracle at this speed – the counterpoint. Incredibly, he made an accelerando prior to the coda. The second half was given over to Brahms’s Third Symphony, whose performance in many ways mirrored that of the Mendelssohn. Orchestral sonority was warmer but still constricted. Short-breathed phrasing was very much to the fore in the first movement, whose progress was constantly interrupted, as if by what some euphemistically call ‘traffic calmers’. Furtwängler was as distant as I could imagine, though doubtless worse horrors have been perpetrated by the provisional wing of the ‘authenticke’ brigade. At its best, one could characterise the performance as serenade-like. Tempo alterations became increasingly extreme, yet rarely convinced, rendering the music hectic or slamming on the brakes. There was, then, little sense of overall line. One could argue about the swift opening tempo of the second movement, yet whatever one’s thoughts on that, the music sounded too ‘moulded’, rather like Simon Rattle’s Brahms, albeit with greater extremity in terms of grinding to a halt. There were also strange interludes, almost Tchaikovsky-like in sonority, which seemed to have entered from another performance altogether. Superlative woodwind playing was, however, to be heard once again. As in the Mendelssohn symphony, the third movement emerged relatively unscathed, intermezzo-like and with telling pointing of Brahms’s cross-rhythms. (Sadly, audience coughing, never reticent, reached its peak here.) The opening of the finale sounded wonderfully mysterious; which way might it go? Could there, at last, be something akin to the flow of a great river, as Giulini once described Furtwängler’s way with this movement? Alas not. Jurowksi’s line soon hardened, becoming rhythmically hidebound. Once again, one could hear as well as see every single beat – and many a sub-division too. The closing bars – Brahms’s celebrated ‘quiet’ ending – were beautifully variegated, but it was far too late by this stage. This music is far more difficult than many suspect. It is often a lonely task to act as cheerleader for Haydn’s operas, so many thanks are due to the Royal Opera House for choosing L’isola disabitata for its Meet the Young Artists Week: the first ever performance at this venue, whether in the main house or, as here, in the Linbury Studio Theatre. Haydn’s general fate, not being Mozart, is perhaps more starkly demonstrated in the operatic field than anywhere else, with the possible exception of the concerto. Only a fool, and a (s)tone-deaf one at that, would denigrate Haydn’s symphonies and string quartets; I recall with anger even now the head of my college music society refusing to have any Haydn symphonies performed, since they were ‘school orchestra music’. Nevertheless, a good number of listeners – and performers – seem content to restrict themselves to a small number of works. (One could say the same of Bach’s cantatas, of course.) Yet there is a surprising number of people, many of whom ought to know better, who will dismiss all of Haydn’s operas out of hand; one wonders whether these people have ever deigned to listen to them. L’isola disabitata is a short work (cut a little here, I think) with a cast of only four, though Haydn’s musical inspiration is not lacking. From the vigorous G minor Sturm und Drang of the overture to the delectable closing quartet – Haydn’s substitution for Metastasio’s original chorus – there is, via a considerable amount of accompanied recitative, a typical wealth of invention to be heard. There is not Così fan tutte, of course; one must turn to Mozart for that depth of characterisation and much else besides. But the musician in Haydn will always out – and the musician in the audience will always respond. Certainly conductor Volker Krafft seemed to do so, choosing his tempi well, providing a sure sense of momentum, without ever driving too hard. The excellent young players of the Southbank Sinfonia barely put a foot wrong. Though the orchestra was relatively small in number (strings 6.4.4.3.2), it did not sound so; it sounded full of life and did not shirk the anticipations of Beethoven one hears even in Haydn of 1779 vintage. The aforementioned quartet features solos for violin, cello, flute, and bassoon: all were delectably taken. Indeed, the solo work of leader Olga Muszyńska was first class throughout. This is not a complex tale: two sisters, Constanza and Silvia find themselves lost on a desert island for thirteen years, left there by Constanza’s husband, Gernando. Constanza believes herself abandoned, though Gernando was in fact kidnapped by pirates and enslaved. He returns to the island with his friend, Enrico, and after a little ado – believing his wife to be dead, she spurning him, and so on – all ends well, with Silvia, turned against men by her sister’s plight, soon responding to Enrico’s charm. The four singers from the Young Artists Programme acquitted themselves well. Elisabeth Meister, who had previously made a great impression substituting in The Cunning Little Vixen, sang the role of Constanza with dignity and beauty of tone. Anna Devin did not prove quite so consistent vocally as her sister, but threw herself into the drama. A certain goofiness seemed to be dictated by the production; whether apposite or not is another matter. Steven Ebel and Daniel Grice impressed as Gernando and Enrico respectively. Both had occasional trouble with coloratura – nerves, most likely – but for the most part proved themselves to be reliable and warmly expressive of tone. There was an especially winning ardent quality to Grice’s baritone. The only respect in which this performance really fell down was Rodula Gaitanou’s production. Her little programme note helps explain why. ‘As the name suggests,’ she writes, ‘L’isola disabitata is an environmental work.’ Well, not really. It is true that it takes its place amongst a number of ‘island operas’ written for Esterháza, and there are certainly points of comparison one might make, if so inclined, with Robinson Crusoe. But it is quite a stretch to set the action ‘following an apocalypse, where civilisation and humankind, devastated by an environmental disaster, no longer exist in the way they used to.’ Jamie Vartan clearly did everything he was asked to with his Waste Land-like set design, but I could not help thinking it might have been more appropriate to Götterdämmerung or Parsifal. The snorkels Gernando and Enrico are made to wear upon arrival seem gratuitous, still more so when Silvia starts playing around with Enrico’s – and with his clothes. It all begins to seem like an outing to a fetish club, whilst remaining stubbornly unerotic. I assume the idea behind Silvia’s antics was that, legs open wide, she was innocent to their meaning, a Naturkind; however, it was all just a bit embarrassing. And this is not really the place to lecture an audience on environmental catastrophe. The musical performances generally compensated though. What next, then, for Sir Donald Tovey’s ‘Haydn the Inaccessible’? Haydn Year barely scratched the surface, especially when it came to the operas. 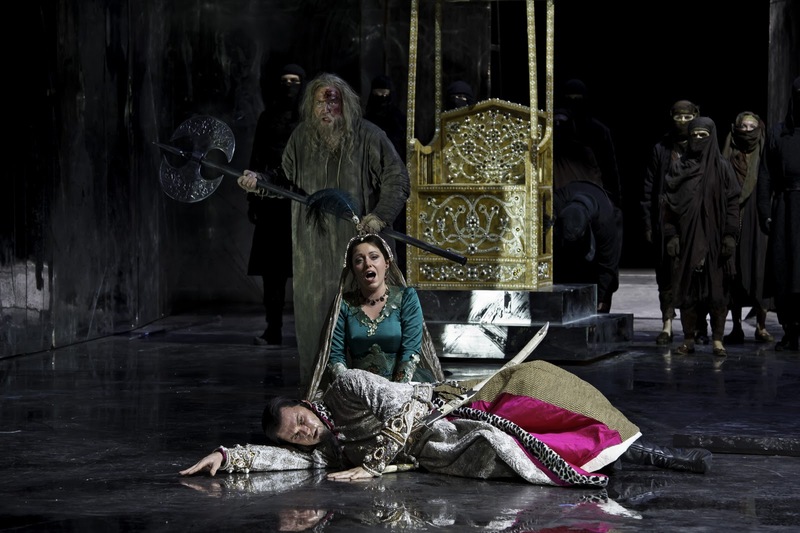 The Salzburg Festival’s 2007 Armida was a recent – well, relatively recent – milestone in performance. Orfeo was performed a few years ago by the Royal Opera: largely, it seems, at Cecilia Bartoli’s behest; I do not think it has been revived. For better or worse, the main house at Covent Garden seems very much under director Christof Loy’s spell, so why not take advantage of this Linbury toe in the water, and try to bring Loy’s Armida to London? Even better, how about a new production of La fedeltà premiata or La vera constanza? ENO, are you listening too? L’isola disabitata is far from the only event to note from this Meet the Young Artists Week. There is also a series of free recitals, covering repertoire ranging from Chinese songs to Schoenberg. It is worth mentioning too the proven track record of the Jette Parker Young Artists Programme; just glancing down a list of former members, one cannot fail to be struck by the number of ‘names’ who have gone on to forge successful and, in many cases, high-profile careers. Both this and the Southbank Sinfonia are fully worthy of support – and never more so than in the present climate of vicious ‘cuts’. Haydn or Trident…? Not so much a review, as a few thoughts arising from the Southbank Centre’s Helmut Lachenmann Weekend. We should be grateful that it happened at all. Whilst given his due in certain parts of continental Europe – including residencies at the Salzburg and Lucerne Festivals, the latter featured in Bettina Ehrhardt’s film – Lachenmann has not been well served on this sceptred isle. I was staggered to discover in June that the LSO’s performance of Double (Grido) was the first British symphony orchestra performance of any of his works – and that only came about on account of Maurizio Pollini designing the programme. The London Sinfonietta has of course performed Lachenmann, and was here, in the final concert, considerably expanded to full symphonic size; but whether it be the fault of conductors, orchestras, or concert promoters, the record has been lamentable. Three cheers then to the Southbank Centre and to the performers involved. First among equals here must be accounted the Arditti Quartet, whose performances of the first and third quartets – again featured, along with the second, in …wo ich noch nie war – must surely be accounted close to definitive. Lachenmann’s music requires excellent performance, it seems; indeed, he makes just that point in the film, not in an arrogant way, but almost by way of assimilation to the tradition of Mozart. Beethoven too looms large in so many of Lachenmann’s works – not in the sense of sounding ‘like’ him, though the example of the Grosse Fuge is far from irrelevant in that respect, but as a forerunner in terms of effort and moral countenance. One thing that emerged throughout the weekend, without ever being directly mentioned, was the crucial importance of Lachenmann’s German Protestant background. His father was a Lutheran pastor – not the only comparison one might make with Nietzsche – and Helmut is nothing if not a preacher. Indeed, it was intriguing to hear him speak of his teacher, Nono, visiting him in Germany, and, firebrand communist though he was, evincing respect for Lachenmann’s church, even attending divine service, intrigued by the prospect of silent prayer. Silence is crucial to both composers – and to many others, of course. One of the most moving moments came with profound silence in the third quartet. Grido might be the Italian for ‘scream’, but that is not the only, nor even the most important, quality we hear. Extremes of quiet characterised the first too, audibly in Nono’s tradition. Here, it seemed to me, perhaps more than in the two large-scale orchestral pieces, however well performed by Rolf Hind and the Sinfonietta under Brad Lubman, spoke the true voice of the composer, with a purity that could hardly fail to put one in mind of Webern. It was, however, intriguing to hear both Schreiben and Ausklang in the light of Lachenmann’s avowed respect for Strauss, and his Alpine Symphony in particular (many thanks once again to the film). Not only did Strauss emerge as a precursor of Lachenmann’s musique concrète instrumentale – and he really is: just listen, not only to the wind machine! But Lachenmann’s use of the orchestra emerged as a virtuosic, though never merely virtuosic, playing upon an instrument, creating tone poems in a sense. I struggled somewhat with the form in these large-scale works: Ausklang is on a Brahmsian scale as a concerto. But they will doubtless repay further listening; one should not always expect to grasp a work immediately. There was certainly a sense of something very much worth attempting to grasp. This issue of playing, indeed creating, an instrument comes to the very heart of Lachenmann. What emerged especially powerfully during the sequence from Ein Kinderspiel to Got Lost was his need to make each instrument his own, so that it was not, as it were, Beethoven’s, Brahms’s, or Schoenberg’s piano, but Lachenmann’s. ‘Extended techniques’ rather misleads, getting things the wrong way round. He seems to be doing something quite different from, say, Berio. For new techniques are created; Lachenmann plays the instrument with his music, rather than the other way round. And then, just as consonance – take the third quartet in particular – can reappear, ravishingly so, without the baggage of tonality as such, so can apparently ‘conventional’ writing, which is in fact anything but. Oliver Coates’s account of the solo cello work – Lachenmann tellingly describes it as ‘for cellist’ rather than for the instrument – was superlative in its technical and, yes, expressive, constructivism. Lachenmann spoke in one of the discussions of Bach: he was not trying to make one cry in ‘Erbarme dich,’ whose violin melody Lachenmann sang, but that was the result nevertheless. (Clearly, tonalities are of great importance to him, for he referred to Bach’s B minor rather than to the St Matthew Passion as such; likewise keys in Beethoven, Strauss, Mahler, and otherwise were explored in his verbal responses.) Lachenmann may not, then, have been trying to express, but that does not mean that he did not. After the piece ‘for cellist’ the Toccatina for violin sounded almost like light music, but in a different context, with different ears, one might well have thought differently. Lachenmann’s rethinking and reconstruction of the voice came to the foreground in the excellent account from Sarah Leonard and Rolf Hind of Got Lost, its title taken from an English-language announcement in a Grunewald lift of lost laundry. Perhaps significantly, or perhaps not, Nietzsche’s Gay Science provides another of the texts. At any rate, this is use of words very much in a certain tradition of Nono – think of Il canto sospeso – albeit in a sterner, more Teutonic fashion. The preacher demands to be heard. Nevertheless, it was the child’s play of the piano piece that perhaps made the most enduring impression of all. Doubtless the effect of Ein Kinderspiel was enhanced by having the composer himself as performer. But the distillation of Lachenmann principles – again creating the instrument, and, as it were, playing it on his music, rather than the other way round – in music that a child could and certainly should play, was not only instructive in itself. Lachenmann was also revealed as a true poet of the piano; more than once, Debussy sprang to mind as a possible inspiration. I for one was moved to wish to acquire the score to play for myself: a perfect counterpart to Children’s Corner or pieces from Mikrokosmos. Was that charm one discerned? Who would have thought it? The Southbank Centre’s International Piano Series had kicked off in style a couple of weeks ago, with a truly wonderful recital from Dame Mitsuko Uchida. Next to be heard was the doyen of modernistic pianists, Pierre-Laurent Aimard. Aimard opened with a fiftieth birthday tribute to his friend George Benjamin: the third of Benjamin’s Three Studies for Piano, ‘Fantasy on Iambic Rhythm’. This is the repertoire in which Aimard excels; the present case was no exception. Benjamin’s playful treatment of the opening rhythmic cell provided a showcase – in the best sense – for Aimard’s rhythmic exactitude, pianistic resonance, and precision of voicing. Opening rather like a more expansive and less explosive descendant of Boulez’s Notations, a sense of fantasy developed alongside clear and meaningful delineation of structure through transformation, thereby prefiguring Ravel’s Miroirs. Ravel’s set of five pieces opened somewhat unpromisingly. Noctuelles was cool, arguably cold, glassy in tone. Aimard experienced no difficulties with the transcendental pianistic demands, but where were the moths? I liked the throwaway ending though. Oiseaux tristes proved more atmospheric, whilst retaining its modernistic moorings, kinship to Gaspard de la nuit readily apparent. Ravelian water music, sprites and all, was to be heard in Une barque sur l’océan, yet a welcome level of abstraction pervaded the interpretation. The neo-Lisztian quality of Ravel’s writing was clearly brought out, making me wish to hear Aimard in Liszt: perhaps in 2011, for the composer’s anniversary year? Orchestral, yet equally pianistic, this was an exemplary performance: shimmeringly musical, never merely pictorial. Alborada del gracioso was somewhat disappointing. Perhaps I had the orchestral version too firmly lodged in my head, but a broader range of colour would not have gone amiss, likewise greater flexibility. Sharp rhythmic definition shaded into charmless bludgeoning. However, the darkness of the central section bewitched, peering forward to the world of the Left-Hand Piano Concerto. (Aimard has recently recorded Miroirs and the piano concertos with Boulez .) Finally, La vallée des cloches proved surprisingly luxuriant, without inappropriate perfume. Two works by Chopin opened the second half. Rhythm was the key to the Berceuse, the waves lapping hypnotically. What I missed here and in the second Scherzo was the personal quality of Chopin’s voice. It can be heard in many guises, from Rubinstein to Pollini, but here it was difficult to detect. The Scherzo sounded rather sectional earlier on, but Aimard clearly delighted in Chopin’s pianistic inspiration. Beethoven’s Eroica Variations rounded off the programme. We should doubtless hear these more, had Beethoven not surpassed himself and all but Bach in the later Diabelli Variations. Aimard must have made a good few converts with this performance. In the early variations, he tended towards the heavy-handed. Confounding received ideas of Beethovenian touch is one thing, but this put me in mind of similar passages in his 2008 Art of Fugue recital at the Wigmore Hall: anti-Romanticism pursued unremittingly and somewhat wearyingly. Structural integrity was never in doubt, however. Aimard seemed to melt as the variations progressed, though, increasingly delighting in the composer’s musical invention, for instance during the canonical writing of the seventh variation. The minore variation sounded surprisingly Romantically, with considerable pathos: almost Schubertian. There was, moreover, a properly effortful quality to the fugal writing. Bach could not be resurrected, but why should not Beethoven make the attempt and storm the heavens in so doing? Isolde is about to marry Marke, who is much older than she is. Powerless, she has to accept the match, which his nephew Tristan has arranged for social reasons. Brangäne, who is aware of Isolde’s desperation, argues with the voice of reason that, in her eyes, Isolde’s union with Marke, a high-ranking personage, can only be advantageous. Wagner, it is true, points in his summary, to the ‘custom of the time’ leading to the sin of marriage for politics’ sake. Yet that comes very much as background and remains in any case quite different from this banal, updated foregrounding. Isolde, we learn, ‘refuses to go to the altar with Marke before she and Tristan have spoken openly with each other’. Kareol is merely referred to as the ‘house’ of Tristan’s father. 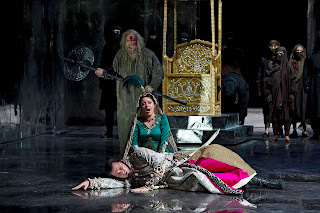 Metaphysics are banished, just as in Christof Loy’s Royal Opera production, which in retrospect now seems to echo, wittingly or otherwise, Guth’s adaptation, first staged in 2008. Tristan is rendered as a bourgeois drama, somewhat in the manner of Ibsen. The coup de théâtre is Christian Schmidt’s stage design for the first act, clearly the Villa Wesendonck, Isolde/Mathilde gazing from her bedroom window. Local references seem a current preoccupation for Guth; (his recent Ariadne auf Naxos was set in a celebrated Zurich coffee house). Yet the Wagner–Wesendonck soap opera is neither maintained, nor discarded en route to universal significance. For the first two acts, we remain within this ‘house’ and its garden, its Treibhaus hothouse plants evocative, but the Konzept is arrived at and only half-heartedly pursued. Even had the idea been more clearly developed, I doubt it would have worked, for it appears – and this is not an absolute statement, merely an observation based upon experience – that productions which try to make this particular work ‘about’ something other than its inner drama simply do not work. (Harry Kupfer recognises this in his 2000 production for the Berlin Staatsoper. 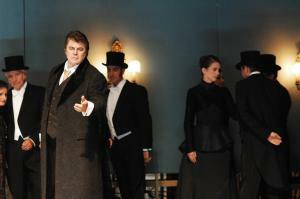 He incorporates but does not fetishise nineteenth-century references, which remain at the service of Wagner’s drama. Kupfer’s centrepiece for each act, a fallen angel, with a Victorian touch of ‘bad nineteenth century’ such as Thomas Mann would surely have appreciated, is more importantly a revolving space for the true, inner action, and an ever-present reminder of the fallen human condition.) Leaving aside the unfortunate failure of the revolving stage equipment on one occasion, Guth’s setting is both unduly prominent and apparently lacking in further or deeper meaning. Touches such as Tristan turning an electric light switch on and off at the end of the first act – how technologically advanced was the Wesendonck household? – merely add irritating distraction; if a metaphor for Day and Night were intended, one could do better. I could not fathom why Isolde and Brangäne should be portrayed as near-identical, nor why they acted reciprocally as maid. Regarding the general idea, one might claim that Hans Jürgen Syberberg does something similar in his Parsifal film, introducing imagery from the writing of the drama and more generally from Wagner’s life, for instance the window from the room of the Venetian Palazzo Vendramin in which Wagner died. Yet Syberberg offers a multiplicity of settings and ideas – a problem for some, but a different problem – and is anything but reductive. Moreover, Parsifal is not Tristan. Guth is a director I have admired, his Salzburg Festival Figaro being far and away the best production I have seen of the work. More recently, though, not least in the remaining instalments of his Salzburg Da Ponte trilogy, his ideas have confused rather than illuminated. Bizarrely, he reverts to the discredited notion of omitting the final scene of Don Giovanni, yet in a production with little of the Romantic to it. That anti-Figaro is certainly not faithful to the spirit, let alone the letter, of the work, yet somehow its Ibsen-reworking works. This Tristan does not. There had been plenty of musical drama during rehearsals. Waltraud Meier departed after ‘artistic differences’ with Bernard Haitink, to be replaced by Barbara Schneider-Hofstetter. 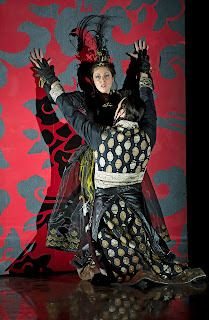 Her voice did not sound especially appropriate as Isolde, possessing a distinctly mezzo-like tinta, vocally indistinct from that of Michelle Breedt’s Brangäne. One might, given the mysterious mirroring of the characters onstage, have thought that the point; yet, given the late substitution, that seems unlikely. Martin Gantner’s Kurwenal also sounded oddly cast initially; yet, despite a voice of tenor-like hue, he convinced with properly moving fidelity. Peter Seiffert fell ill and was replaced by Stig Andersen, whose Tristan would have impressed even had he initially been cast. Vocally and textually accurate throughout, he not only possessed the stamina to get through the third act, but vividly portrayed agonies, both physical and metaphysical, lacking in the staging. Matti Salminen’s King Mark wavered a little during the second act, but his forgiveness – Wagner was wrong after all – was truly, almost unbearably moving:; the voice of experience told and intensified. Bar an unnervingly out-of-tune Sailor, the smaller parts were well enough taken, Joa Helgesson imparting a winningly forthright quality to the tiny role of the Steersman. What made this Tristan unforgettable, however, was Haitink. The contrast between his and even the better renditions I have heard in between his final Covent Garden performance and now was stark, the unfolding of Wagner’s music drama paced to perfection. Whereas, following Esa-Pekka Salonen’s recent performance with the Philharmonia, I was intrigued to find the score sounding less tonal, more proto-Schoenbergian, in conception than usual, here Wagner’s motivic web and vast tonal plan were invested with conviction and meaning at every turn. This was not, as Haitink’s detractors have sometimes claimed, a reading of ‘absolute music.’ Terror instilled during the first scene of the third act was clearly derived from words and music, or rather from their indissoluble union; especially telling was the rhythmic drive, not excitable but clearly grounded in harmonic rhythm. Wagnerian melos, without which any performance will be in vain, emerged unchallenged as the guiding thread through the chromatic labyrinth. There were occasions when the Zurich Opera Orchestra sounded tired, likewise when strings gained an edge to their tone. If Haitink was better served vocally in Zurich than in London, the Orchestra of the Royal Opera House’s contribution had been significantly superior. There was, moreover, something odd about the second-act offstage horns, sounding almost as if relayed electronically. Nevertheless, the orchestra was generally able to execute Haitink’s vision; the rest could be readily forgotten. Truly, one would have to go back to Furtwängler to hear Wagner conducting so exalted. Let us hope yet to hear more Wagner from Haitink. News just in from Leipzig: the director Joachim Herz has died today (18 October). His 1973-76 Ring for Oper Leipzig, where he served as director of opera from 1959 to 1976, presaged the more celebrated Bayreuth 'Centenary Ring' of Patrice Chéreau. Wagner as a serious, sophisticated critic of modern capitalism was on stage – and would not easily be pushed away again, however much devotees of horns and helmets might wish otherwise. Herz bravely, however, dissociated Wagner from Marxism too, not least in his crucial decision to leave the end of Götterdämmerung open (again, compare the ‘watchers’ in Chéreau); he therefore came in for considerable criticism from more doctrinaire commentators, of whom there were many. Nevertheless, Der Union, a Dresden newspaper, went so far as to declare that Leipzig had overtaken Bayreuth, and that the focus of Wagner interpretation had passed from West Germany to its socialist confrere. (For more on the production and reactions to it, see Patrick Carnegy's excellent history of Wagner production, Wagner and the Art of the Theatre ). First things first: not even a performance of this distinction could salvage Dvořák’s Violin Concerto. I suppose it is worth hearing occasionally, perhaps as part of a large scale Dvořák retrospective, but even the combined forces of Anne-Sophie Mutter, the LSO, and Sir Colin Davis could not conceal its ramshackle structure, or lack of it. ‘Rhapsodic’ might be a polite way of describing the work, but it would barely do such aimlessness justice. There are small sections that are relatively attractive in themselves, though it is difficult to discern the melodic or other attractions of the composer’s better works. But where do they come from and where do they go? Davis and Mutter launched the first movement in grandly symphonic, Brahmsian style. Unfortunately, this valiant attempt to shoehorn the composer’s meanderings into an intelligible structure was doomed to failure. Everything one could have wished for was there in performance terms. The LSO’s woodwind contributed delectable solo work. Mutter’s tone was simply ravishing, generous vibrato and precise intonation– none of the pain inflicted a week ago by Viktoria Mullova – happy bedfellows. As ever, her commitment seemed complete. Leaving aside a couple of ever so slight disjunctures between soloist and orchestra during the finale, I cannot imagine the concerto being better performed, but it still could not come off. No wonder Joachim rejected it. If only these musicians had been playing Brahms, Beethoven, or Berg. Janáček’s Glagolitic Mass was another matter entirely. The performance matched at the very least that preceding the interval, but here we are concerned with a masterpiece of staggering originality. Sir Colin is not a conductor I especially associate with Janáček; I do not know whether he has conducted any of the operas, but on the basis of this performance, I hope that he might yet be persuaded. This was not a reading that went out of its way to stress the work’s Moravian roots, but it is arguably high time that Janáček was freed from nationalist constraints. There were elements of Romanticism, not least in the gorgeous cello lines of the Introduction, but the work was never unduly romanticised; it stood stark, craggy, and wondrous. Indeed, there was a stentorian quality to the structural whole: not unlike an imaginary Klemperer Glagolitic Mass. Above all, Davis and his forces imparted the requisite awe and joy. Just as Janáček, especially later Janáček, should not be reduced to regional status, his affirmation cannot be restricted to any creed, whether Christian or pantheist. That was what we heard here. The LSO was on simply outstanding form, the only fault I can recall a very minor brass slip in the concluding Intrada. Unanimity of attack, orchestral weight and colouring, and burning commitment to the score: the orchestra’s players had it all. Catherine Edwards’s rendition of the extraordinary organ solo was similarly distinguished, despite the feeble Barbican electronic instrument: a pity. Nevertheless, I was left wishing that the composer had written a mature solo work or two for the King of Instruments. Following that postlude, I found myself wondering briefly whether the orchestra's tuning was quite that of the organ's, but my ears soon adjusted and it may have been my imagination. Davis also seemed to drive the opening of the Intrada a little hard, though there was no denying the grandeur of its conclusion. The performance from the London Symphony Chorus was outstanding too. I do not think I have ever heard a bad performance from this chorus; that state of affairs was not about to change here. Shouts of exultation are mightily impressive, and they were on this occasion, but equally so was the singers’ way with the language and its connection to the notes. The vocal soloists impressed too. Krassimira Stoyanova and Simon O’Neill had most to do, all of which they did very well indeed, complementing and extending the orchestral and choral rapture. The sensuous quality of Stoyanova’s delivery drew one in, seduced one even, whilst O’Neill’s Heldentenor portrayed and commanded awestruck respect. Anna Stephany had little to do, though the tone quality of her mezzo-soprano pleased briefly; Martin Snell’s bass was warm and rounded, yet nevertheless precise. Microphones were present, so I assume the performance was being recorded for LSO Live. The programme will be repeated, prefaced by Sasha Siem’s Trickster, on 12 October. This latest opera from Alexander Goehr – probably last, he says, but then so did Henze about his L’Upupa – promises in subject matter as well as name the makings of a testament, but there are signs aplenty of new life too. Promised End draws its name from Kent’s ‘Is this the promised end?’ when Lear re-enters, the dead Cordelia in his arms. The late Frank Kermode assembled the text exclusively from Shakespeare. This, apparently, was insisted upon by composer and librettist, and who can blame them after the miserable doggerel to which Meredith Oakes reduced The Tempest for Thomas Adès? There are twenty-four sections, ‘preludes’, but the action, bar an interval, is continuous. Beckett looms large, though not overwhelmingly so, and how could he not in a Lear for our times? Ours is an age often preoccupied with reception history; it is not an age for naïve art. Some cultured despisers sneer at that, but what is the alternative: ignorance? We have far too much of that already, aided and abetters by those whose interests it serves. If Beckett is a strong presence, so is Brecht, not least in the creation of a chorus, which comments, punctuates, structures. The tension between existential devastation and alienation is productive, enhancing and questioning both. Constructivist tendencies are also manifested in the pairing of Goneril and Regan, who seemingly cannot work without each other, and yet ultimately gain nothing, or at least nothing of value, from having done so. The pairing put me in mind – though this may just have been coincidence – of Morgan Le Fay and Lady de Hautdesert from Birtwistle’s Gawain, though without the sense of framing: Shakespeare’s unruliness is too great for that. Cordelia and the Fool are brought together in a further tightening of the casting-parallel noose. At the heart of both libretto and music lies the parallelism between Lear and Gloucester. Too old men, rendered foolish – and not in the Fool’s way – by power, have much to undergo before they can come together in the scene of transformation: a recognition scene not so much in the Elektra sense but recognition of themselves, of something concerning the true bleakness, as opposed to self-pity, of the human condition. Whatever happens in Elektra, it is certainly not that. There is no sub-Wagnerian redemption in this recognition; it is all too late. That, however, does not render it any less necessary. Goehr’s score is of course the crucial thing. Endlessly inventive, we hear a dark generative activity that seems genuinely inspired by the short ‘prelude’ structure: shades even of Wozzeck, perhaps, in the tension between smaller forms and the greater whole. Sonority from his chamber orchestra – the fine Aurora Orchestra playing under Ryan Wigglesworth’s taut yet expressive direction – offers intimations of twentieth-century Neue Sachlichkeit: Hindemith at his more interesting and Weill sprang to mind, as well as Schoenberg. They remain intimations, however, certainly not imitations. Stravinsky’s graveyard harpsichord (The Rake’s Progress) makes its presence felt, both as soloist and quasi-continuo player, the organ proving a complementary and opposing force, perhaps a reference to Goehr’s beloved Monteverdi and The Death of Moses? There is little purely orchestral music; the pace is fast, though not, I think, cinematic, notwithstanding Goehr’s admiration for Eisenstein. However, we hear something akin to a battle symphony – the ghost of Handel? – when Edgar goes away to war. A notable feature of Goehr’s ensemble is its brace of tubas, sparingly used, yet a lugubrious and still melodious evocation of the wheel turning full circle. The Fool’s songs, accompanied by guitar, evoke – at least for this listener – Monteverdi at his most Shakespearian; the parasite Iro (Il ritorno d’Ulisse in patria) meets Beckett. That strange existential world is assaulted by Brecht and Weill, but is never vanquished; indeed, it emerges all the stronger. Vocally, there is typical precision and concision: never expansive, but somehow seeming dramatically ‘right’ in its urgency. Foucault, whom Goehr cites as an influence in this respect, would have pointed to the constructed nature of madness: here it is compositionally apparent. James Conway’s production, aided by Adam Wiltshire’s designs, contributes greatly to the Beckettian mood and its Brechtian challenge. Japanese Noh theatre – recalling both Goehr’s Kantan and Damask Drum and his dream of Lear in Japanese, which provided the opera’s initial inspiration – is a presence too, though a contributory reference rather than an agent of excessive stylisation. The production seems to take its cue from the work, rather than to force itself upon the latter. As the action unfolds, the chorus is not static but re-assembles, so that observation remains to feed subsequent commentary. Performances were all of a high standard: a true and worthy feather in the cap of English Touring Opera. Roderick Earle’s Lear commanded the stage and moved without inappropriate emoting. Nigel Robson’s Gloucester ran in parallel but remained differentiated: this was not a king, or an ex-king, but a senior courtier. Adrian Dwyer portrayed with touching acuity the transformation of Edgar into Poor Tom, whilst Nicholas Garrett’s leather-clad Edmund proved as devilish as his recent Don Giovanni for Opera Holland Park – and more cunningly fiendish. Jacqueline Varsey and Julia Sporsén offered what seemed the just admixture of repellent, individual ambition and structural complementary duet as the unlovely sisters, a true contrast with Lina Markeby’s haunting Cordelia and Fool. Three cheers, then, for English Touring Opera. Let us hope that other companies, both in England and further afield, are listening, for Goehr’s earlier dramatic works demand revival, and sooner rather than later. And surely another company could offer him a commission he would find too intriguing to refuse? Look out for Charles Mackerras as conductor. Will someone now revive this fine Brechtian opera, Alexander Goehr's first? Now more than ever we need to show what the arts are capable of, as their political enemies take lipsmacking delight in slashing budgets. Opera companies and other arts organisations must be bold, must never retreat into rehashings of tired repertoire that could quite readily be mounted commercially. Rolf Liebermann's words are especially instructive. As Hamburg Intendant, he felt it artistically necessary to commision an opera from Goehr; the composer's nationality was supremely irrelevant to him. Covent Garden, kindly take note! Liebermann commissioned no fewer than twenty-six operas during his Hamburg tenure; others include Henze's Der Prinz von Homburg and Penderecki's The Devils. Opera and art in general must never consign themselves to the museum. That way they will succeed only in signing their death warrants. 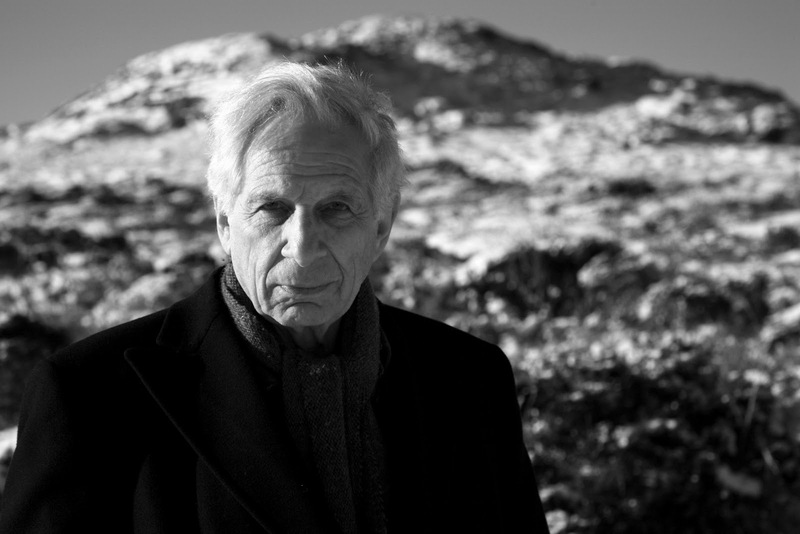 Tomorrow will witness what promises one of the most important musical events of the year, the first performance of a new opera by Alexander Goehr. Promised End has all the makings of a testament, though there is of course no reason to believe that Goehr will not be composing for many years to come. It is a bold composer who tackles King Lear, but the late Frank Kermode was at hand to assemble the libretto from Shakespeare. English Touring Opera's initiative is equally bold; the company will stage four performances from director James Conway at the Royal Opera House's Linbury Studio Theatre, before moving on to Malvern, Bexhill, Exeter, Crawley, Cambridge, and Snape Maltings. Tour details may be found by clicking here. Ryan Wigglesworth will conduct the excellent Aurora Orchestra. The Cambridge performances should be special indeed, marking a homecoming for composer, librettist, and indeed conductor. Sandy Goehr's lectures were a formative experience during my time at Cambridge. Though reading history, I was always keen to smuggle in as much music and philosophy (though certainly not 'Cambridge philosophy') as I could. At any rate, there was a definite spring in my step as I made the very short walk across from the History Faculty to the Music Faculty to hear analyses of Wozzeck, The Rite of Spring, and so forth. It is often fascinating to hear composers talk about music they esteem, but to hear such works taken to pieces and put back together again by a master analyst with a composer's insight was a special, enlightening experience indeed. Two of Goehr's - and his father's - especial passions, the music of Monteverdi and Schoenberg, coincided with two of mine as a research student. (Walter Goehr, a pupil of Schoenberg, conducted the first British performance of the Monteverdi Vespers, in York Minster.) When I wrote to him, asking about his father's Monteverdi performances, he generously sent me cassette recordings, including L'incoronazione di Poppea with the Philharmonia Orchestra. Goehr fils's own recomposition of the lost Arianna, with Kathleen Ferrier's crackly lament at his heart, became an object of fascination and indeed love. Conversations concerning Monteverdi and Schoenberg have always been of inestimable value to me, the latter especially helpful for my own work on Moses und Aron. Indeed, one might even go so far as to suggest that there is something of that opera's dialectical antagonists in the influence and voices of both those composers, individually and when opposed to each other. Apropos Moses, the cantata The Death of Moses is another fine work, engaging with the extraordinary power and hold of Schoenberg's legacy with means that have something also of Monteverdi to them. I recall a Cambridge performance conducted by Stephen Cleobury, dedicated to the memory of Yehudi Menuhin, who had died that day. But my first encounter, I think, with Alexander and Walter Goehr was in the sixth form, when my late music teacher, who perhaps has the greatest claim as a formative influence upon me, gave me a copy of their joint essay, 'Arnold Schoenberg's Development towards the Twelve-Tone System'. I read it and re-read it, and suddenly found that what I was grappling towards as a listener, increasingly obsessed with Schoenberg and his music, I could now understand intellectually, and especially historically. I therefore could listen all the more acutely and happily. Anyone wanting a 'way in' could do no better than start with that essay and Charles Rosen's Schoenberg. Schoenberg's music truly became a joy for me at this time, a joy that has never departed. (An interesting parallel presents itself to my mind when writing this: one of my A-level set works was the Monteverdi Vespers, another joy that has persisted and intensified.) Goehr is above all, of course, a composer, but, like his fellow Messiaen pupil, Pierre Boulez, he is very much more than that - which redounds to the benefit of the music. Speaking of Boulez, further mandatory reading is 'A Letter to Pierre Boulez,' (1987) as sharp an assessment of divergent post-war musical currents as I know. Goehr considers how, in his words, how he was 'led ... away from what was later to be seen as the "classical" avant-garde position,' making 'my music of no interest to, though not free of the influence of, Boulez.' This, the Schoenberg piece, and other essays, may be found in Finding the Key: Selected Writings of Alexander Goehr, published by Faber. I can recommend them as heartily as Arianna. I have no idea, of course, what we shall hear tomorrow. The few words above, however, may give some indication of why my hopes are high. In the meantime, here is a wealth of material on Goehr's earlier operas, including excerpts, and below is the beginning of a short interview between composer and director concerning the new work. The remainder of the interview may be found on Youtube. David Alden has directed Handel at the Coliseum and elsewhere before. His is not an imitative vision of the Baroque; however, it clearly finds inspiration in some of its conventions, whilst disregarding others. 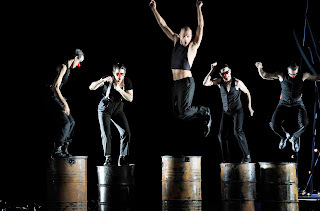 Stylisation is part of the game, with nods, arguably more than nods, to Japanese theatre: a feature of the Göttingen and Edinburgh Festivals’ recent Admeto too. Such, for instance, was the waving of a black, silken sheet, which would have appeared stylish, mannered, or a little close to the world of am-dram, according to taste. Much the same might be said of Gideon Davey’s set designs, whose patterns veered between Central Asia, tilting towards the Mogul khanate, the Sainte-Chapelle, and a certain form of wrapping paper. Rick Fisher’s lighting was generally revealing. Opinions will be divided as to whether the combination of stylisation with more ‘modern’ scurrying about and sexual teasing is provocative or misguided. It can work, but there were occasions when it seemed more concerned to bring attention to itself than to illuminate the drama, such as it is. I was definitely unconvinced, however, by the general tenor of the production’s Orientalism. Yet again, I was left wondering whether those concerned had read Edward Said: his work may not be the last word on the subject, but it is a useful first few. Presentation of oriental despotism is part of the work, of course, though as usual, it is matters of family and love that are truly to the fore. Is it really necessary, though, to add a cast of ‘sinister’-looking actors, faces and bodies covered, in a manner that has uncomfortable contemporary resonances for a modern audience? It would doubtless be possible to make something of this, but it seemed more a matter of evoking an exotic atmosphere than anything else. Laurence Cummings generally paced the action appositely. The overture did not bode well, its quick section taken at a breakneck speed, but thereafter there was considerable variation, some recitatives as well as arias taken surprisingly slowly. I could not help longing for a larger string section and one that was permitted a broader expressive palette, but we stood some distance from the wilder shores of astringency. Woodwind and brass were on especially good form. Handel often has a good line in bassoon colouring – a favourite instance of mine is the Witch of Endor’s music in Saul – and this shone through more than once. The military music was well done, harking back to Purcell: never a bad thing. It was a treat also to hear the horns in Tiridate’s ‘Alzo il volo di mia fima,’ the first occasion, Jonathan Keates’s notes informed us, in which they were employed for a London theatre orchestra. There were a few strange sound ‘effects’. I did not mind at all, though I can imagine that Sir Thomas Beecham’s ‘drowsy armchair purists’ might have objected – and there can be no doubt that they are very much in the ascendant today. Singing was generally of a high standard. Lawrence Zazzo shone in the title role, a worthy successor to Senesino. His dazzling coloratura was second to none – and he can act too: all that, without the old-fashioned ‘hoot’ of yesteryear’s countertenors. Christine Rice brought her customary warm tone and musical intelligence to the role of his consort, and Sophie Bevan was at least as impressive as his unlucky sister, Polissena: expressive, but never inappropriately so. Ryan McKinny made a malevolent Tiridate, virile up to a point, but tellingly weak where and when it mattered. He has stage presence and used it wisely. Henry Waddington had to deal with a costume and general appearance that made his Farassane a visual cross between Mussorgskian mendicant and Beckettian tramp; nevertheless, he made something of the character as well as proving firm and deep of voice. The only fly in the ointment was Ailish Tynan’s Tigrane, unfortunately cast visually and vocally. Intonation was not always perfect elsewhere – though I do not recall hearing a single slip from Zazzo – but in her case, tuning was often wildly awry. Even when leaving upon one side the bizarre Tommy Cooper get-up selected for the character – I assume this was intended, though goodness knows why, to be amusing – it was difficult to imagine that this was a Prince of Pontus. There is no reason whatsoever why a woman should not sing the role, as happened on the premiere of the original though not this revised version. However, on this occasion, one was led to think that a countertenor would have been more appropriate. Handel cut the role of Fraarte, Tiridate’s brother, for this version. This being the sort of opera it is, we knew, even without forewarning, how everything was going to turn out. All’s well that ends well. The reversal of fortune and the tyrant’s change of heart are not the most convincing, but there is little we can do about that. Handel has some fine music indeed here, though dramatically, like all his operas, it falls short of his great oratorios. Once more, however, it is a matter of congratulation for ENO that it should have decided to stage the work. It was also a good thing yet again to note the presence of the company's Music Director in the audience: he is clearly more than a principal conductor. When it comes to Beethoven, memories of Daniel Barenboim – most recently – die hard at the Royal Festival Hall. Dame Mitsuko Uchida showed that she had nothing whatsoever to fear from the comparison in the op.90 piano sonata. A little surprising was the sonority: more definitely ‘Steinway’ than I might have expected from Uchida, though that is no sense an adverse criticism; more than once, I was put in mind of Maurizio Pollini. She plunged us immediately into the drama, supreme flexibility shown to be necessary but never exaggerated. Rhythm, melody, and harmony were equally well defined, as they must be. I am not sure that I have heard the motivic parallels with the E minor slow movement of the early op.14 no.1 sonata so clear, nor so telling. There was some beautifully hushed playing in this first of the two movements – and, even though this was not to continue, a well behaved audience too. Schubertian desolation at the close was vintage Uchida. The second movement’s voice was nevertheless Beethovenian from the outset, motivic insistency and the melodic sublime equally apparent. This was Beethoven verging upon ‘late Beethoven’ but not quite there yet – or, to put it another way, there were more hints of the late Bagatelles than the late sonatas. Crucially, there was the Wagnerian long line, utterly crucial to Beethoven, however unfashionable it might be to say so in certain circles. The movement as a whole marked, as it should, the apotheosis of the Classical rondo. Schumann came next: the Davidsbündlertänze, which Uchida has recently recorded. The opening pieces of the first book gave in performance a textbook example of the varying manifestations of Schumann’s mood: Florestan, Eusebius, and a few more besides. Youth was immediately to the fore in the first, in a sense very un-Brahmsian – one could understand why Boulez might relish Schumann but disdain 'old' Brahms – though motivic integration already told a more complex tale. Innig is the marking for the second piece – and innig is what we heard. ‘Expressive’ or ‘expressif’ does not begin to translate the marking; ‘inward’ might be better. Uchida understood perfectly that this is German Romanticism; quite rightly, there were intimations of the Second Viennese School, Schoenberg’s op.19 pieces in particular. High spirits in the third piece foretold Schumann’s own Faschingsschwank aus Wien, whilst hints of Chopin would characterise the fourth and sixth. Uchida was simply delectable in her flexible command of line during the fifth piece, likewise in the seventh upon its melting from Beethovenian melodic sublimity. The reminiscences of the ninth, Lebhaft, the final piece in the first book, brought out thematic, cyclical unity and transformation. Uchida proved equally impressive in the second book. A strong sense of a story unfolding was imparted to the eleventh piece, the thirteenth receiving an equally strong impression of more overtly impassioned Romanticism. Song came to the fore throughout, but there was nothing more impressive than the subtly subdued conclusion. Schumann and Chopin were both born in 1810: what a year for the piano! Uchida devoted her second half to the latter, the truest poet the instrument has yet known. The op.45 Prelude announced an immediately Chopinesque sonority; one realised in retrospect that Schumann’s intimations of Chopin had been just that: intimations. Here was the real thing. Line, voicing, and colour: one could not ask for more, for that twisting and turning of the melodic lines could only be Chopin. Uchida took the third sonata attacca, presenting a musico-dramatic account of the first movement that at times tended towards Wagner, though at no cost to the Bellini-like vocalism of the second group. Perhaps the movement was a touch on the rhapsodic side, but I am straining to criticise. After all, one can argue that the music is itself somewhat rhapsodic. Pollini’s way is not the only way and, at any rate, this is not Beethoven. The tumult Uchida summoned where necessary banished any lingering doubts about unduly ‘feminine’ Chopin, whether in performance or composition. A whirlwind was unleashed in the second movement, but of the musical rather than merely ‘virtuosic’ variety. Rock-like rhythmic underpinning enabled melodic unfolding at the beginning of the slow movement. Recitative characterised certain subsequent passages, until a true synthesis of the two ‘characters’ emerged: very Schumannesque. The finale was not taken at quite such a dash as Krystian Zimerman did earlier this year in the very same hall; however, the comparison is, if anything, to Uchida’s advantage. We heard a Chopin who, here at least, cannot quite shake off Beethoven’s shadow, and thus stands poised between the Classical and the Romantic. Uchida’s virtuosity was none the less for not being quite so easily displayed, part and parcel of a more expansive conception of the sonata as a whole. By the same token, one was not left in any doubt of the piano’s stature as the greatest musical instrument of all. To follow, as an encore, we were treated to a rapt rendition of the first movement of the Moonlight Sonata: the sort of thing of which one might disapprove in isolation but which, in context, could not have been more appropriate. What a pity, then, that audience interactivity – were these people really on their consumptive deathbeds? – rocketed to a new high. This was one of the two concluding concerts in Kings Place’s Schumann 200 Festival, curated by Lucy Parham. I wish I had been able to attend the masterclass given by the same artists earlier in the day, for this song recital proved a winning contribution to the Schumann bicentenary. If Schumann’s late Gedichte der Königin Maria Stuart (‘Poems of Mary Queen of Scots’) are finally receiving greater attention, that is some testimony to what such anniversary celebrations can achieve. Robin Holloway’s delectable transcription and encasement was premiered at the Proms last month; now it was time for the original. Ann Murray and Iain Burnside caught the dignity and starkness of this little, much misunderstood cycle with an intense yet understated musico-dramatic reading that at times looked forward to Wagner. The distilled necessity of what one heard was just right for these songs. More will so often be less here, but there was no attempt to overburden them with extraneous ‘emotion’. Diction and musical clarity were second to none. Frauenliebe und –leben takes one back to a happier time, not just biographically but musically too. There were occasions when Murray could not disguise the loss of bloom in her voice, likewise odd intonational slips, but these counted for little when set against her moving response to verse and music. Schumann’s multifarious responses to the possibilities of life and love were treated in exemplary fashion, from youthful impetuosity to the marital devotion of Du Ring an meinem Finger. Burnside ensured that the cyclical quality of Schumann’s writing was very much to the fore. Detailed musical responses throughout, clarity of part-writing especially notable, were knowingly encased by the prologue and the concluding return of its material. Nun hast du mir den ersten Schmerz getan (‘Now you have caused me pain for the first time’) signalled both withdrawal and return, the truest poignancy, as so often with Schumann, in the piano. Simplicity that was never simplistic characterised the delightful Rückert settings, Volksliedchen and O ihr Herren, whilst a remembrance of things past, of youthful expectation, was not only to be heard but also felt in Singet nicht in Trauertönen. My hopes were doubtless too high following Andris Nelsons’s stunning CBSO Prom this summer. Neither Nelsons nor the LSO disappointed, but that goes to show that there is more to a concert than the performance of conductor and orchestra. Following an exceptionally fine Rienzi Overture at the Proms, Nelsons conducted that to Tannhäuser: alas, Dresden, rather than Paris. 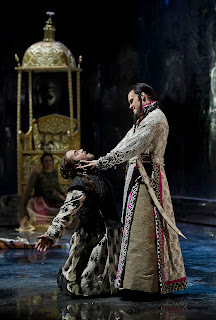 (The good news, slightly deferred, is that the Royal Opera will at long last be performing Tannhäuser in December, and in the Paris version too.) Nevertheless, the performance greatly impressed. I do not think I have heard the opening pilgrims’ chords sound quite so redolent of Classical Harmoniemusik: apt and convincing. The string choir response proved equally magical. Nelsons, through a strong rhythmic command of the score, imparted a true sense of the processional. Sharply etched rhythms and colours came to the fore in the (foreshortened) Venusberg Music, but there was teasing rubato too. It was all too clear, in the typology of Wagner’s soon to be written Opera and Drama, that here was a woman begging to yield. A delectably feminine duet between the two front desk first violinists, Sarah Nemtanu and Carmine Lauri, was equally evocative, if more perfumed. The final peroration had something of Liszt to it; the bombast – this was a concert performance, after all – recalled his organ transcription, as if re-transcribed for orchestra. A little bombast or at least commitment would have been dearly welcome in Viktoria Mullova’s rendition of Prokofiev’s Second Violin Concerto. Unfortunately, she played it as if she did not believe in a single note of it. The nervous intensity to her opening phrases was intriguing, if largely undone by less than perfect intonation. It was immediately clear that the first movement was to take its cue from the Allegro of Prokofiev’s Allegro moderato marking, though there was considerable, arguably excessive, slowing for the second subject. Before long, however, there were too many instances of soloist and orchestra not being quite together – and sometimes rather more that. Throughout, I missed the more lavish tone that many violinists have brought to the work. One does not have to be Heifetz to play it, but it certainly does no harm. I had the sense that Mullova was shying away from Prokofiev’s Romanticism, but she was less cool than casual, the movement’s ending merely throwaway. Soloist and conductor seemed of very different minds regarding the slow movement. One seemed to wish to get it over with as quickly as possible, whilst the other pulled back and did his best to love Prokofiev’s woodwind detail. The abiding impression was that Mullova would have been happier performing with her recent regular collaborator, Sir John Eliot Gardiner. Her approach was perhaps a little more suited, or less unsuited, to the finale, which at least observed the marcato of the Allegro marcato marking. Nelsons clearly relished Prokofiev’s grotesqueries where he could, though the advent of castanets made me wish all the more that they had been employed in the later version of Wagner’s overture. Tempo changes, however, sounded arbitrary, and once again Mullova experienced tuning problems: possibly a by-product of her recent work on period instruments? A lacklustre performance from the soloist, then, who made this potentially magical work seem merely trivial. The second half was devoted to Shostakovich’s Fifth Symphony. I tried, but, as with almost every work of Shostakovich’s, the more I hear it, the less there seems to be to it. (Symphonic exceptions for me would be his first and last symphonies, both of which intrigue in a manner not wholly dissimilar from Prokofiev.) Performances, however, could hardly be faulted. On surer ground, having despatched an unsympathetic soloist, Nelsons could unleash the full power of the LSO; we immediately heard attack, depth, and a truly frozen landscape with which to open the first movement. There was here and throughout a cinematic quality to the performance, the poster-paint approach bringing Shostakovich closer to Prokofiev than to Mahler, which is just as well, since the former comparison is a little less of a hostage to fortune. The piano was unusually prominent upon its entry, almost concertante in quality: a bit odd, but no harm done. Shostakovich’s raucous march music evoked a goose step newsreel; orchestral unisons proved fearsome in their sonic intensity. The scherzo played up Mahler’s influence, though this brought home just how much cruder Shostakovich is. Stalin was too, apologists will doubtless claim, but that seems to miss the artistic point. Yes, there are marionettes, as in Mahler, and Nelsons characterised them with aplomb, but they are marionettes on steroids – and steroids which seem to have done them irreparable harm. Again, quite reasonably, there was a vivid sense of cinema imparted to proceedings. The slow movement sounded beautiful in a vacant sort of way, which seems to be its point. It overstayed its welcome, one might say, but then again that length seems to be the point too. A Soviet-tinted Vaughan Williams seems to be the desired effect, if hardly the explicit intention, and this is what one heard. As for the finale, it was as brutal as anyone might reasonably have hoped for. Nelsons sensibly did not overburden it with ‘interpretation’, though the climax was not unreasonably of the browbeaten school. Shostakovich, whatever his failings, did not deserve Solomon Volkov, but reference nowadays seems unavoidable. The brass section was simply tremendous; indeed, the whole orchestra was. But was it all worth it?